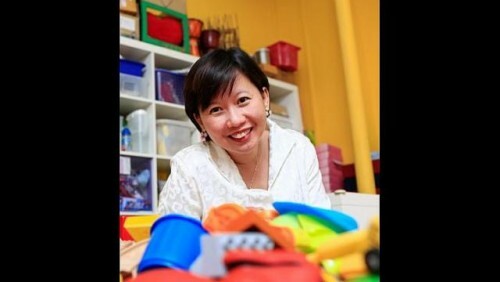 ONE may be equipped with the expertise to run a company profitably, observes Ms Denise Lai, the founder of Wee Care. But staff aspirations and welfare, a vital component in managing and operating a company in the longer run, may not be a part of one's entrepreneurial DNA, says Ms Lai, who is also managing director of the learning centre for children under six years old. As the company expanded, she realised that while she may be an expert in her field, human resource management was not quite her forte. "You think that as a boss, you have articulated to the staff what is expected of them but they actually come away with quite a different perception of what that meant to them," says Ms Lai, 44. Her observation was borne out of the results of a staff survey which indicated that they were unhappy with working arrangements and how management gauged performance. Her staff also felt that Wee Care's human resource policies, compensation, benefits and opportunities for training and development should be improved. "As an entrepreneur, you don't have the expertise in everything," says Ms Lai. Consequently, the company took steps to mesh its vision and goals with the welfare and aspirations of its staff. Wee Care did this last year by tapping Spring Singapore's Business Advisor Programme to enlist the help of an HR professional. The year-long programme, which is co-funded by both Spring and Wee Care, involves two phases of equal duration. The first phase centred on aligning the company's vision and goals with the aspirations of its 50 staff. This phase also involved helping employees understand the company's operations. Initiatives under the second phase, which is scheduled to be completed by January, include employees' performance and appraisals, charting quantifiable key performance indicators (KPIs), training and career development. One key solution was the development of different career paths for employees. Teaching and management career tracks were introduced after the first phase of the programme. "There were some who wanted only to teach, so we introduced the teaching career track. There were others who felt they may want to move into a management role and hence the management career track," she elaborates. The company will soon be introducing a third path called the expert track, which will incorporate positions like curriculum specialist, counsellor or psychologist, Ms Lai says. Wee Care increased employee benefits and introduced staff retreats, outings and awards. A popular measure was its time-off voucher giving staff two hours off after a late shift. The company also improved the voucher scheme, says Ms Lai. Employees' work timelines were assigned free two-hour blocks that allowed them to use the vouchers they earned. Following these measures, there has been a marked improvement in staff engagement with the company. "There was less resistance to new initiatives and there is now a greater understanding of why we have to do this, being part of the company," notes Ms Lai. And that - she concludes - "is the most valuable thing".